Eli Yamin's enthusiasm for music, creativity and community through song permeates his work as a pianist, composer, broadcaster and educator. Through his energy and intellectual curiosity, he brings a freshness and riotous joy. This feeling is very much present in the collectively led trio, Solar, with Adam Bernstein and Andy Demos. Solar's debut CD, Suns of Cosmic Consciousness, on Aztac Records combines the exciting rhythms of Africa, Brazil, Cuba and India in a stimulating m?lange that radiates with a powerful originality. Time Out New York calls Suns of Cosmic Consciousness "ebullient," and the group continues to perform at New York Area clubs such as Sweet Rhythm and Night and Day. In the late 1990's Eli Yamin spent two years touring internationally with tenor giant Illinois Jacquet and his big band. The experience of playing classic swing arrangements with a living swing master left an indelible impression on Yamin. 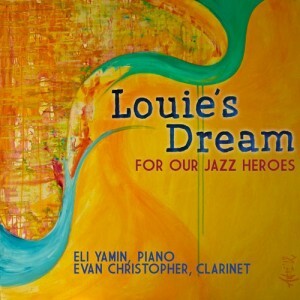 In 2004, Eli launched the Eli Yamin Orchestra (EYO) specializing in the early music of Count Basie. Later that year the band was featured on "Count Basie Today" with Avery Brooks on National Public Radio's Count Basie Centennial Radio Project. In 2005, EYO played the JVC Jazz Festival in New York City and featured Eli Yamin, Miles Griffith, Harold Ousley, Claire Daly, James Zollar and Brad Leali. Recently the band performed swing arrangements of classic songs from James Bond films. In 2004-2005 The Eli Yamin Quartet with Eli Yamin, Bob Stewart, Kate McGarry and Lafrae Sci presented The Different Moods of the Blues at over 50 schools in the New York City metro area as repertory of The Lincoln Center Institute for the Arts in Education. In the early 1990's, Eli Yamin was musical director for the 10th Anniversary tour of Duke Ellington's Sophisticated Ladies. Working with director/choreographer Mercedes Ellington sparked what has become a driving force in Eli's work as a composer and educator-the marriage of jazz and theatre. 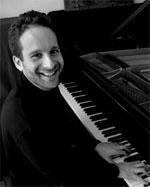 Since 1998, Eli Yamin has co-written with Clifford Carlson, five jazz musicals for children. This work led Yamin and Carlson to start The Jazz Drama Program (JDP) , a tax-exempt arts organization, using the language of jazz to tell stories relevant to children's lives. 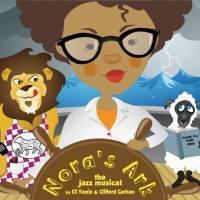 The subjects of the musicals include the fight for Women's Suffrage circa 1920 (Holding the Torch for Liberty), growing up as a contemporary teen (Hear My Voice), the healing power of the blues (Message From Saturn), a modern retelling of Noah's Ark with themes of cooperation, freedom and survival (Nora's Ark), and an interpretation of a traditional African American coming of age folk tale (When Malindy Swings). Each musical runs between 60 and 90 minutes and draws on the vast musical palette of the jazz canon, from Sun Ra, W.C. Handy and Thelonious Monk to Mary Lou Williams, John Coltrane and Louis Armstrong. Numerous schools throughout New York City have produced Yamin/Carlson jazz musicals, thus involving thousands of children and adults in the language of jazz as a magical, immediate and effective way of telling stories. Jazz Times called Message From Saturn by Eli Yamin and Clifford Carlson, "the hippest move in jazz education, ever!" Scores, scripts and demo recordings of the songs can be found at www.thejazzdramaprogram.org. As a result of the success of The Jazz Drama Program, Eli Yamin was asked by Jazz at Lincoln Center, under the artistic direction of Wynton Marsalis, to serve as the director of the first Middle School Jazz Academy at Jazz at Lincoln Center. This program is the first time students have been offered ongoing instrumental music instruction at Jazz at Lincoln Center's Rose Hall, the first world class concert hall built specifically for jazz. In this position Eli has worked closely with Jazz at Lincoln Center staff and adjunct faculty to build the program from the ground up. Eli teaches Listening and Learning with the Jazz Masters and leads the student ensemble in performances both inside and outside of Jazz at Lincoln Center's Rose Hall complex. Recently Lynda Lopez on CBS Saturday Morning interviewed Eli about the program as students from the Middle School Jazz Academy performed live on camera, behind the weather report and in and out of commercial breaks. This prompted Lopez to remark, "we should have live jazz on CBS more often!" In addition to jazz musicals, Eli Yamin's compositions include chamber works as well as scores for dance, radio and film. Claire Daly with Solar recorded his composition, Jacquet's Meditation, a solemn tribute to Illinois Jacquet, on her 2004 release Heaven Help Us All. Rickshaw in The Rain, for clarinet, viola and piano, and inspired by a trip to India, was premiered by the trio, Piaclava, at Weil Hall at Carnegie Hall in 2002. His jazz score for Phil Bertelson's film, Around the Time, about a biracial orphan's search for his birth mother and the 1960's love affair that led to his conception, screened internationally, on public television, and has received acclaim worldwide. Just at home behind a mic as he is behind the piano, Eli Yamin has produced and hosted countless jazz and blues programs for WBGO/Jazz 88 in Newark, Sirius Satellite Radio and National Public Radio. These programs include Swing Street, Jazz Play, Jazz From the Archives, Portraits in Blue, 88 Alive and Sunday Morning Harmony. Eli Yamin was born in 1968 in East Patchogue, New York and grew up on Long Island and central New Jersey. In a household of music enthusiasts he heard folk greats Elizabeth Cotten, Pete Seeger and Arlo Guthrie, classics by Bach, Mozart and Sinatra and blues by B.B. King, Jimi Hendrix and Taj Mahal. As a young man, Yamin always sought out great teachers and studied with Jaki Byard, Kenny Barron, Fred Hersch, Kenny Werner, John Kamitsuka, John Corigliano and Eleanor Hancock. Eli received invaluable mentorship from drummer Walter Perkins and is a lifelong student of Barry Harris with whom he traveled twice to the Royal Conservatory in the Netherlands for intensive study and performance. Eli received his Bachelor of Arts Degree at Rutgers University and his Master's Degree in Music Education at Lehman College, City University of New York. He has since lectured and led hundreds of workshops on all levels from pre-K through graduate school, as well as staff development for professionals inside and outside of education.